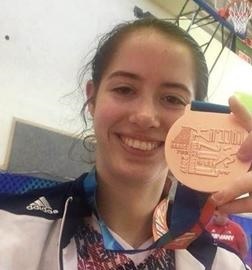 Lia Pelech, a Junior at Vernon Hills High School, and a member of the Great Lakes Fencing Academy, won gold and bronze medals at the 2017 Maccabiah World Games in Israel this summer. Pelech captured a gold medal as one of three members of Team USA’s saber squad. Lia also earned a bronze medal in the age 15-18 junior saber division in individual competition. Lia also won the Illinois State High School Fencing Championship during the 2016-2017 season. The Maccabiah Games are held every four years, in Olympic style format, for Jewish athletes from around the world, with competitions taking place throughout Israel. Over 10,000 athletes from about 80 countries, competed in different sports and events according to the Maccabiah Game’s website. “We are all incredibly proud of Lia. She is an exceptional athlete who always gives her best and strives to get better and better,” said Rich Jackim, team administrator at LHS-VHHS High School Fencing Team. 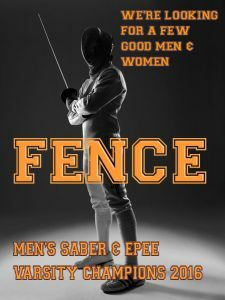 To read more about this remarkable fencer, read the article about Lia in the Chicago Tribune.